And maybe you should consider 'it' too. The University of Cape Town (UCT) has started an initiative to get more of their female students to pursue a career path in IT. 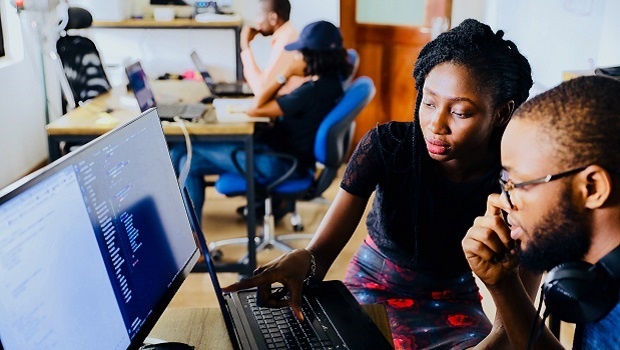 According to an article posted on their website, female students are least likely to enroll in a course within the IT field for various reasons, including misinformation about what a career in IT entails. "Among the reasons women cite for finding IT an unattractive choice is the notion that it involves little other than coding all day," the article notes, but the club - called Girls’ Lounge - aims to "make the sector more attractive to women." While there is a shortage of women in this male-dominated industry, on a larger scale, there is a general shortage of IT specialists in the country, and this is one of the reasons why a career in IT should be in your sights if you're a tech fanatic and are interested in the field. An article in BusinessTech.co.za reports that 75% of companies confirm that they actively seek international talent to fill their skills needs due to the scarcity of these skills on local grounds. The list of most needed skills that companies are going as far as considering international candidates for include ICT (information and communications technology), financial specialists and accountants, specialised technical skills, and engineers. While there is a high demand for these skills in South Africa, the article concludes, "there is little in the way of ‘supply’ – i.e. skilled and qualified job seekers." Why should you consider a career in IT? Professor Salah Kabanda, who is an associate professor from the Department of Information Systems at UCT, says that she is in full support of the idea of mentoring students in the field of technology. "Personally, I would like to see girls emancipated enough to make their own decisions about anything. When you don't have access to technology," she says; "then you don't have access to information and you can't make informed decisions." She feels this way about everyone who is excluded from the options of adopting technology as a career or interest. The access to information is set to broaden your horizons. Along with lawyers, pilots, software engineers and medical specialists, IT managers are among the highest paying jobs in South Africa. According to the Skills Portal, IT managers rank number four on the top five list, with specialists raking in R620 230 a year. Are you familiar with the fourth industrial revolution? You should be, and if your interests lie in IT then you're betting the success of your career and technical hobbies on it. "IT managers are responsible for overseeing tech-related operations in businesses; according to Skills Portal; so they're "expected to build more cost-effective and efficient systems to meet organisational needs. As our world becomes more digital, tech-based roles have increased in stature and value improving the financial rewards for professionals in these fields." LTE, ADSL or fibre - what kind of internet connection do you really need?